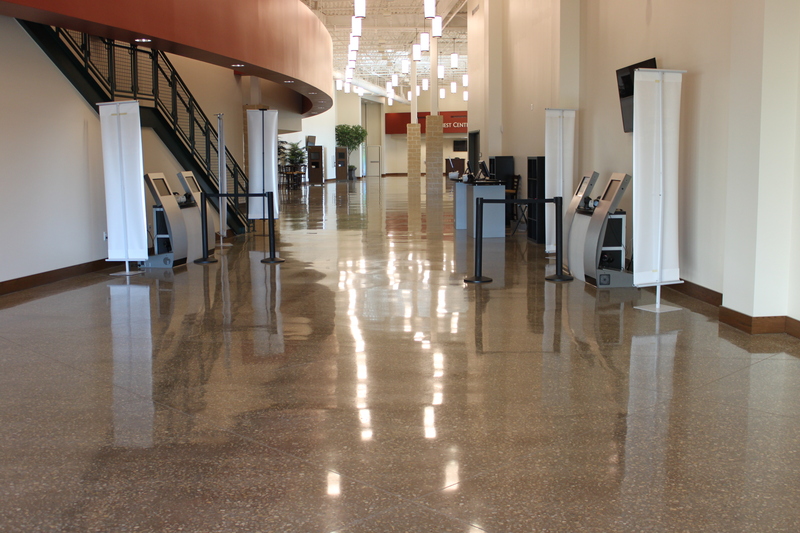 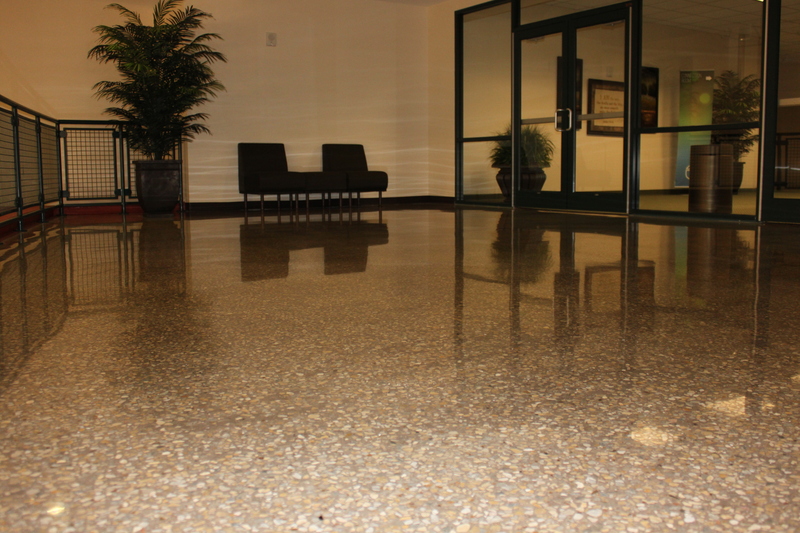 Texas Bomanite installed a Bomanite Custom Polishing Renaissance System in the lobby at the Prestonwood Baptist Church – North Campus located in Prosper, Texas.The entire facility is over 76,795 square feet and is the spiritual home to over 31,000 members. 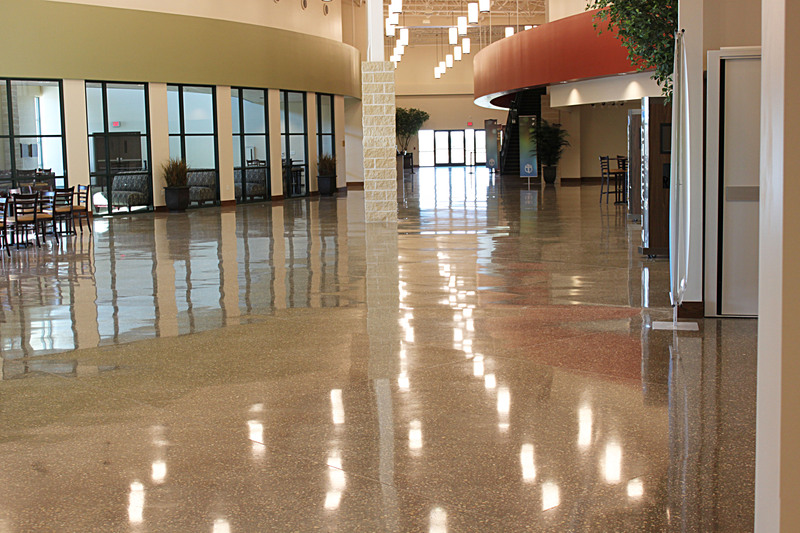 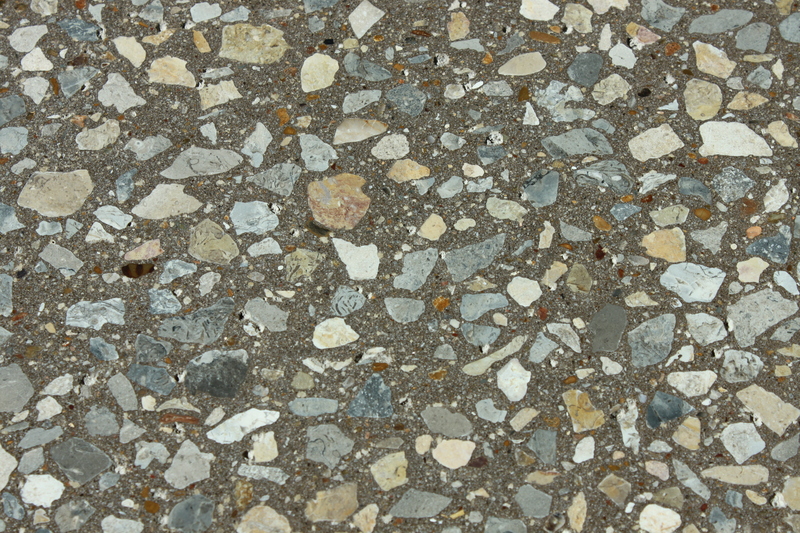 Texas Bomanite was contacted in the beginning by the Owner, Shanks Architects, and Interior Designer Laura Pulis. 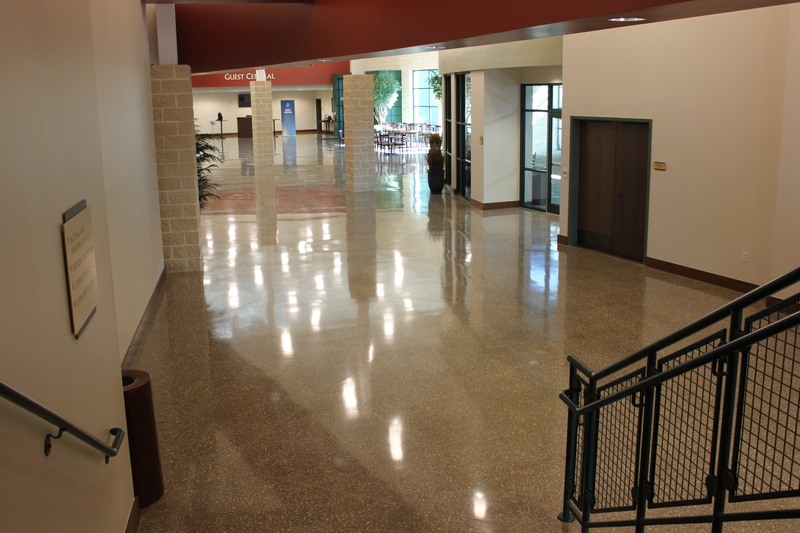 The design for the lobby is a contemporary one, so to achieve this look, Texas Bomanite completed 8,250 Square Feet of Bomanite Renaissance flooring, which is integrally colored concrete with a diamond polished finish.Texas Bomanite poured a 3” integrally colored topping in Bomanite Light Copper, then diamond polished to a 1,500 grit finish, intentionally exposing the aggregate to look like Terrazzo. 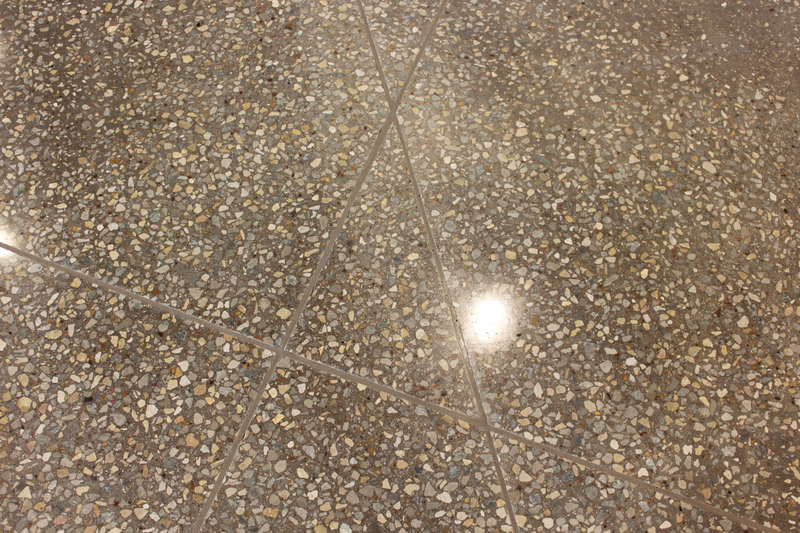 Additionally, 2,305 linear feet of joints were filled to match.The General Contractor on this project was Manhattan Construction. 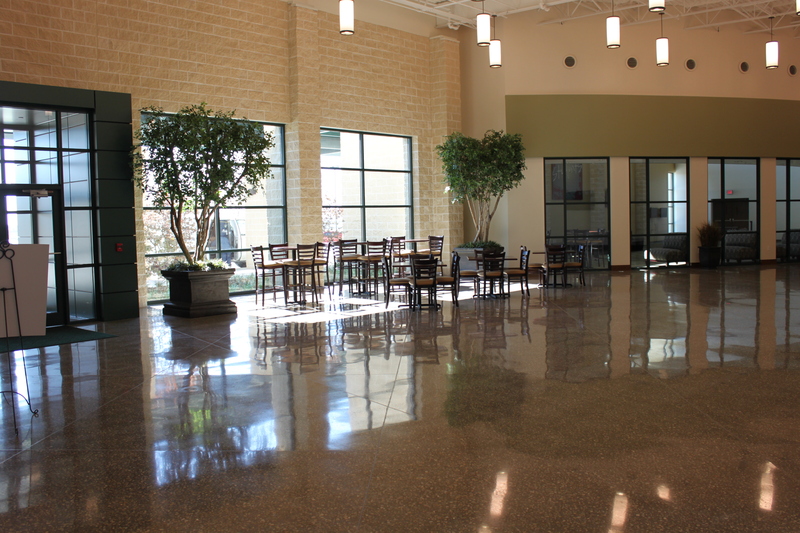 For more information on the north campus of Prestonwood Baptist Church, visit www.prestonwood.org/north.